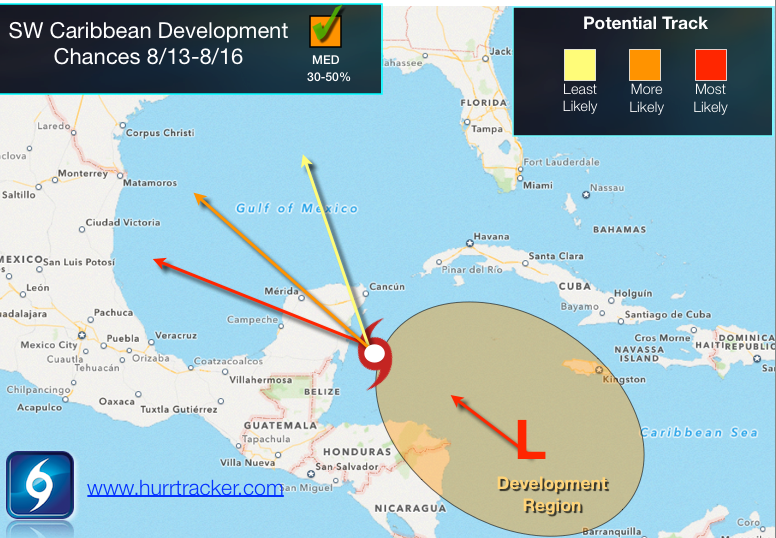 Model guidance continues to point towards development in the SW Caribbean sometime next week as early as Tue-Wed. Environmental conditions are forecasted to be favorable for tropical cyclone development. If a system does develop and it stays offshore, it will have the chance to intensify. At this time, models are showing potential threats to the western Gulf & the northern Gulf. As always, there is uncertainty this far out in regards to intensity and track of any developing system. Stay tuned to the Hurricane Tracker app for updates.